Fennel is a wonderful herb that helps alleviate tummy upset, colic, reflux, indigestion and heartburn, aids bowel movements, and prevents any associated cramping or griping. It is also a fantastic herb used to increase milk production in breastfeeding mothers. For babies and children: Helps soothe colic and reflux in babies (mom takes herb and passes it to her baby through breastmilk.) For further information on colic or reflux, see the article Gas, Colic and other Digestive Issues in Baby, as well as the Children's Dosage Guidelines, both found under More Information. Many clients report that this product also helps to gently alleviate constipation in their babies and toddlers. 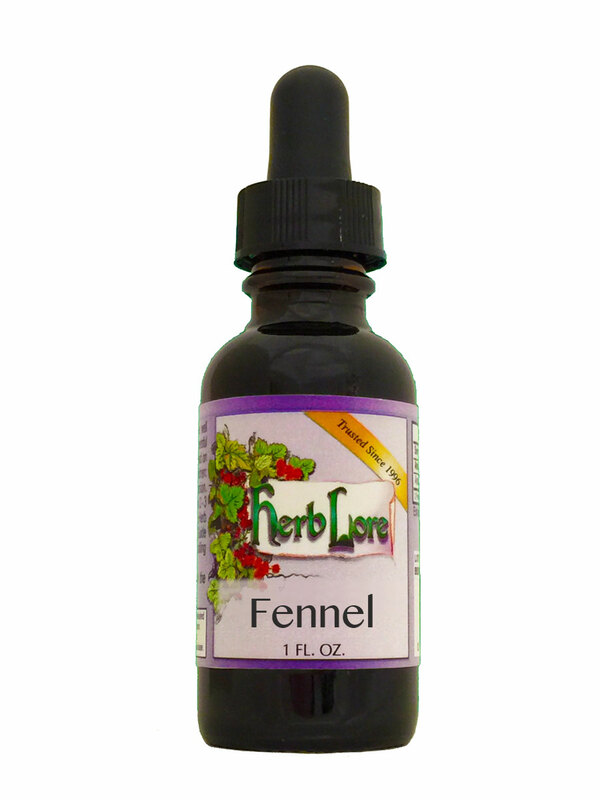 Fennel is one of the main ingredients of Herb Lore's Tummy Tincture. Breastmilk production: Fennel increases breastmilk production while helping to alleviate and dispel gas in both mother and baby. Taking Fennel along with Fenugreek can help alleviate any gas that the Fenugreek may cause. Fennel is one of the main ingredients in both Herb Lore's Nursing Tea Moringa Blend (and Tincture) and Tummy Tincture. Note: Use Fennel sparingly in early pregnancy. It is safe for use while breastfeeding. Please see our Nausea Relief Tincture which is specific for morning sickness or nausea in pregnant mothers.